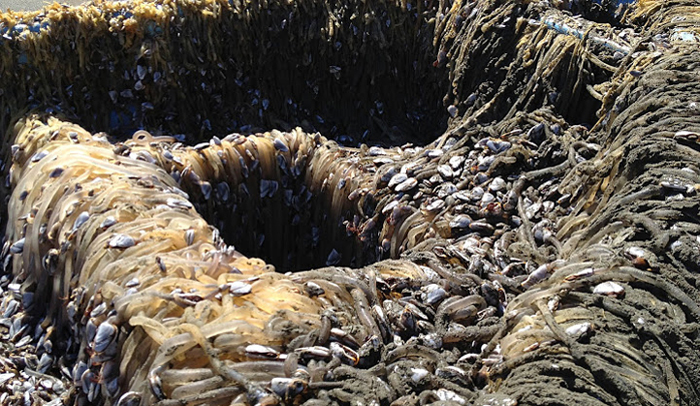 A barnacle-covered fishing boat that washed ashore this month in Crescent City has been confirmed as the first debris from the 2011 tsunami in Japan to reach California's shores. The National Oceanic Atmospheric Administration confirmed the boat's origin on Thursday with help from the Japanese Consulate in San Francisco, the Del Norte Triplicate reported. In total, 27 items from among more than 1,600 reports of debris have now been firmly traced back to the tsunami, NOAA spokeswoman Keeley Belva said. The confirmed items include a small boat found in Hawaii waters, large docks that have washed ashore in Washington state and Oregon and a motorcycle that washed ashore off the coast of British Columbia. The 20-foot vessel that landed in Crescent City on April 7 belongs to the marine sciences program at Takata High School in the city of Rikuzentakata. Lori Dengler, a geologist with Humboldt State University, posted photos of the boat to Rikuzentakata's Facebook page after translating the vessel's handwritten characters with the help of a Humboldt State librarian, according to the Triplicate. 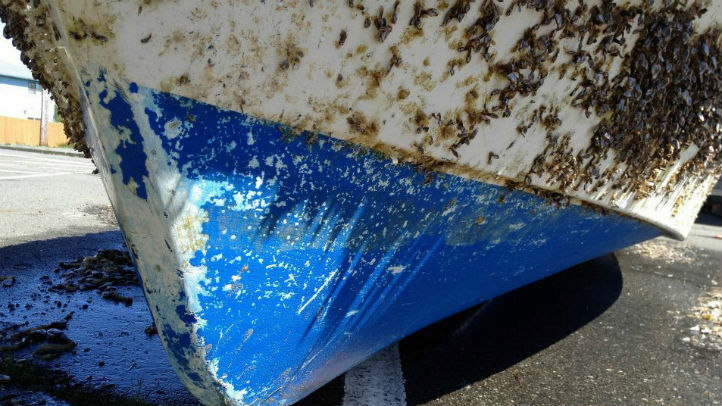 Dengler, who had travelled to Rikuzentakata immediately after the 2011 tsunami, said the city's global public relations officer, Amya Miller, tracked down the school and found a teacher who recognized the boat within hours of the photos being posted. A soccer ball found on an Alaska island with a student's name on it has also been traced to Rikuzentakata. But distinguishing everyday trash from tsunami debris has proven d ifficult in most other cases. The Japanese government estimated that 1.5 million tons of debris was floating in the ocean immediately after the disaster. Items that are confirmed as having come from the tsunami, like the soccer ball and boat, tend to have unique markings. What's next for the boat is not clear. Miller told the Triplicate earlier this month the high school would like to have it back. "Having it back I know would be incredibly meaningful only because the school lost so much - the city lost so much,'' she said.